A classic monster is joining CBS’ assortment of crime-fighting procedurals. Via Entertainment Weekly, the network is developing a contemporary re-imagining of Mary Shelley’s Frankenstein. The series will find Frankenstein’s Monster solving crimes as a homicide detective. That’s because CBS doesn’t seem to believe in any drama format that isn’t a procedural of some kind. 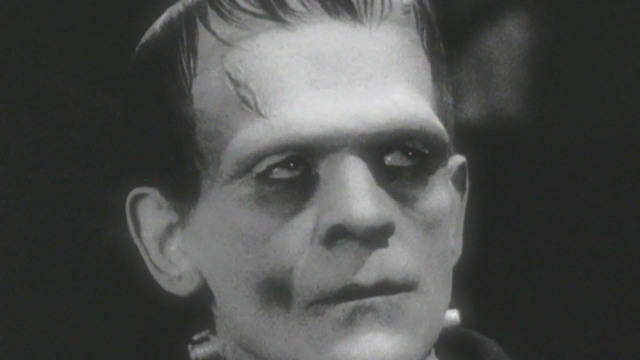 According to the logline, the show’s version of the monster “is mysteriously brought back to life after being killed in the line of duty. But as he resumes his old life and he and his wife realize he isn’t the same person he used to be, they zero in on the strange man behind his resurrection – Dr. Victor Frankenstein.” Time will tell if the character’s wife will sport the Bride of Frankenstein’s iconic hairdo. As ridiculous as the premise sounds, EW notes that Fox produced a similar series called Second Chance in 2016. Though only loosely inspired by Shelley’s tale, the series depicted a murdered 75-year-old sheriff brought back to life in the body of a younger man. Robert Kazinsky headlined that series, which aired only aired for one season consisting of eleven episodes. Jason Tracey is scripting the new pilot. Previously, Tracey wrote for the USA series Burn Notice. He also penned episodes of CBS’ Elementary, a modern take on Sherlock Holmes. Shelley’s novel has been translated to film and TV numerous times over the last century. Frankenstein‘s most recent film adaptation was released in 2015, with James McAvoy in the title role and Daniel Radcliffe as Igor. One year earlier, Lionsgate released I, Frankenstein, based on Kevin Grevioux’s Darkstorm comic book series of the same name. What do you make of CBS’ plans for Frankenstein? Who would you cast as the famous monster? Tell us what you think in the comment section below!